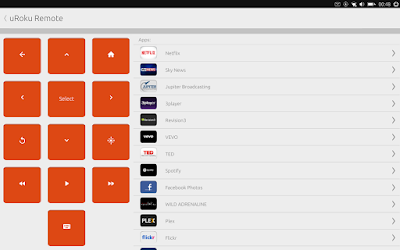 I've just released the first version of uRoku, a Roku remote app for Ubuntu Touch. 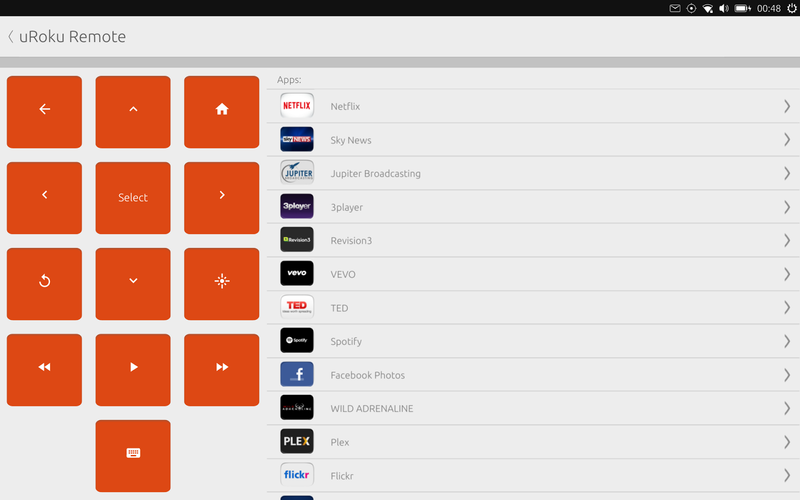 It gives the user a remote interface along with a keyboard and the ability to launch Roku apps from their Ubuntu device. 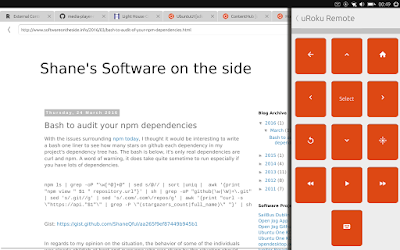 It's written using the Ubuntu Cordova SDK because the QML SDK won't work on Ubuntu 14.04. I may re-write it in QML later. It's MIT licensed and available on github and the Ubuntu app store now.